Fairly quickly after moving into our mid-century home, we decided that we were going to stay true to the era when it came to furniture and decorating. We do not have an endless budget, so we are replacing pieces here and there when we find a good deal. In years past during the holidays I have decorated our house with traditional Christmas decor – but as we transform our new home I have quickly realized that just won’t cut it. Our mid-century space craves a festive vintage + modern look and I am having a ball creating DIY pieces that will fulfill that look! 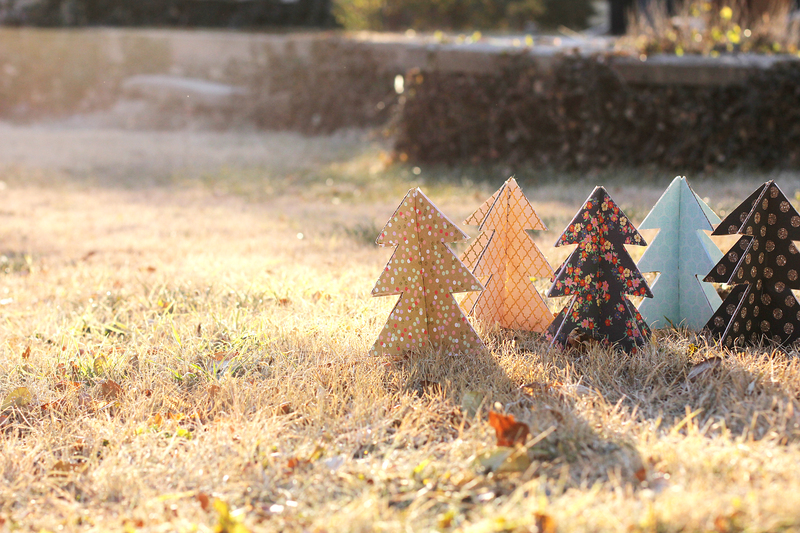 I came across the idea for these gorgeous little trees on a Christmas decor post at Remodelista. There was not a tutorial attached (darn, right?) but they were simple enough to figure out so here is my tutorial to share with you! I love that these are frugal, easy-to-make, and customizable to any decor and personal taste. The simple style lends a vintage modern vibe to any space. My favorite part? Toddler friendly. If my guy destroys these pretty trees then I can make replacements for pennies! 1. 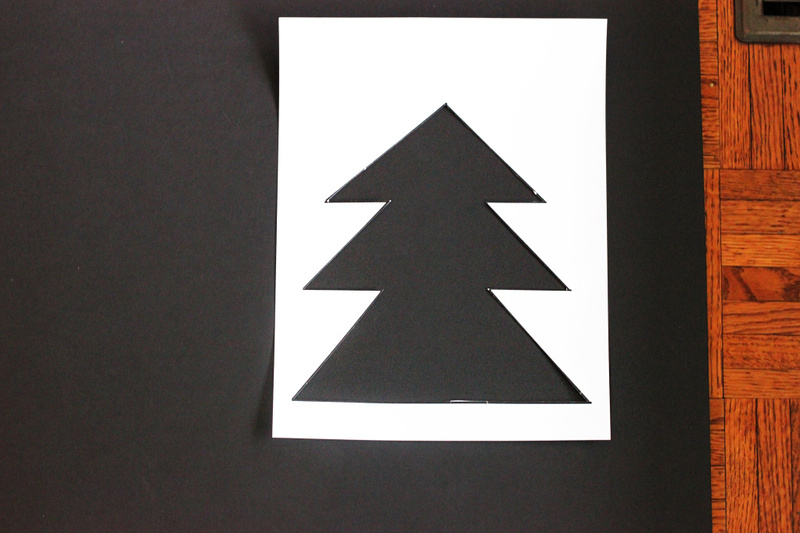 Print the Christmas tree template on 8.5 x 11 cardstock or other sturdy paper. 2. 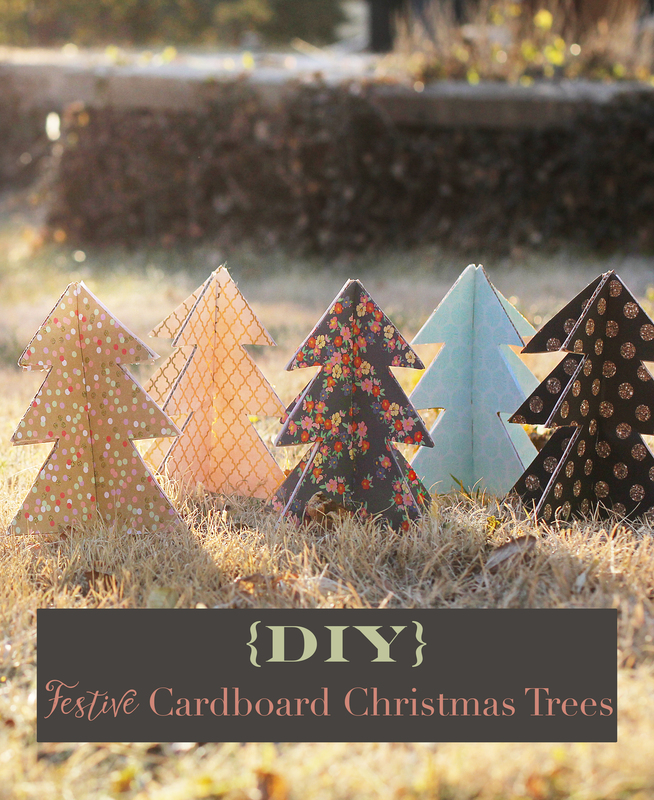 Cut outside the inside of the tree using scissors or box cutter. 3. Using the template, trace two trees on cardboard with pencil/pen. 4. 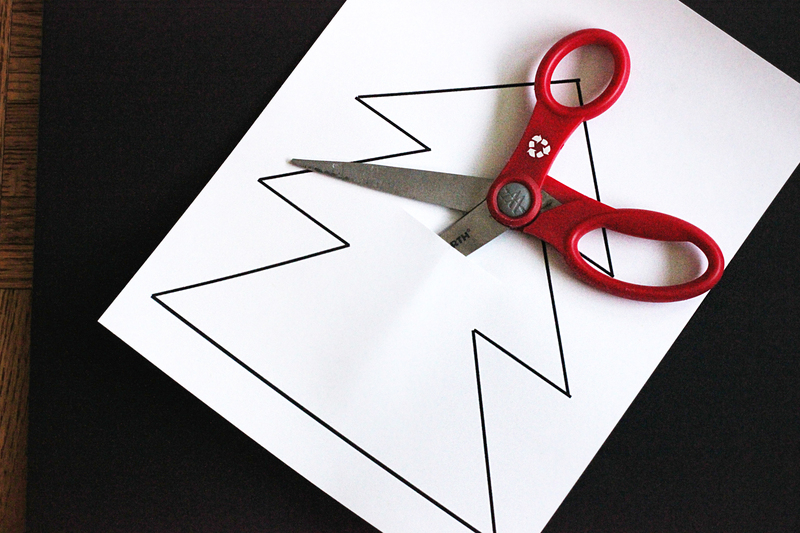 Cut out the traced trees with box cutter or craft knife. 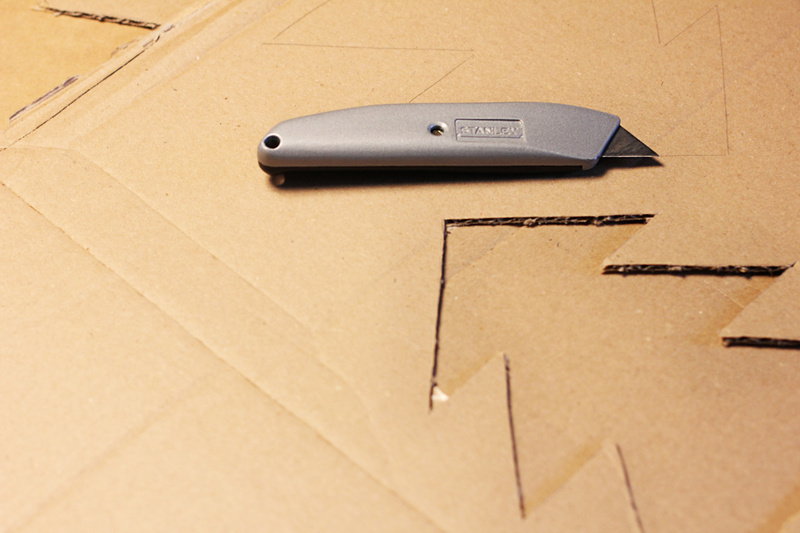 Be sure to place another piece of cardboard or a cutting mat underneath to avoid slicing your surface. 5. 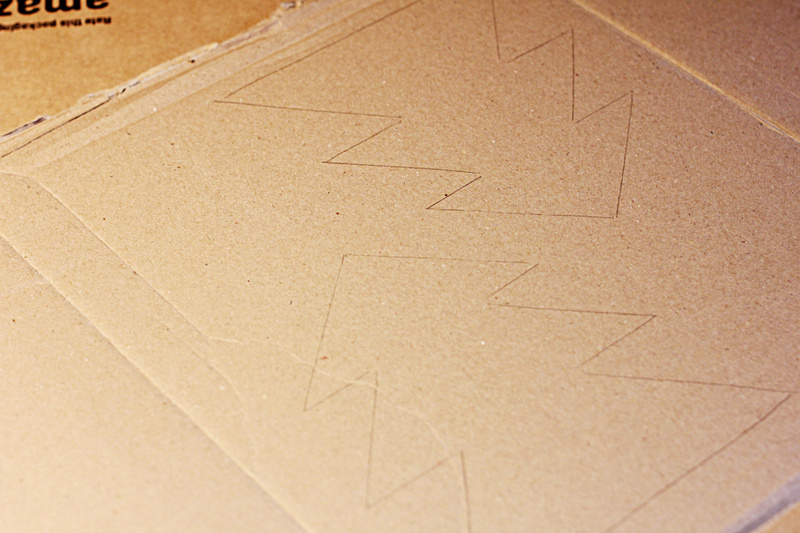 The trees templates are not perfectly symmetrical, so each piece in this step will belong to each other. 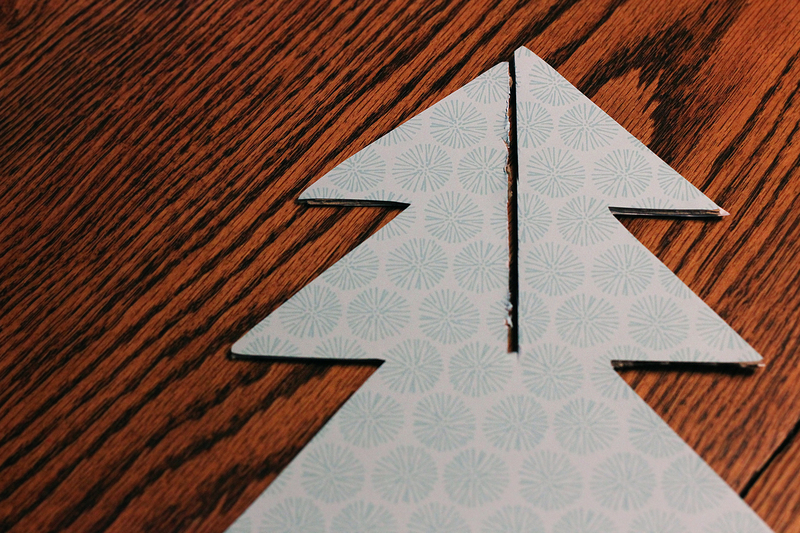 Be careful to keep them together unless you want to do a puzzle later on 🙂 Place each tree cutout over the backside (if your scrapbook paper is double-sided) or the white side of the scrapbook paper. Trace the trees on the scrapbook paper. 6. 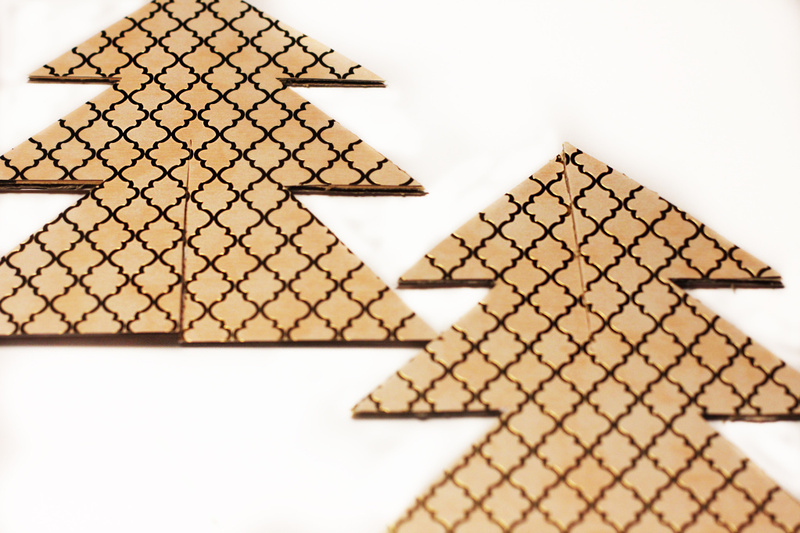 Cut out the trees from the scrapbook paper. 7. 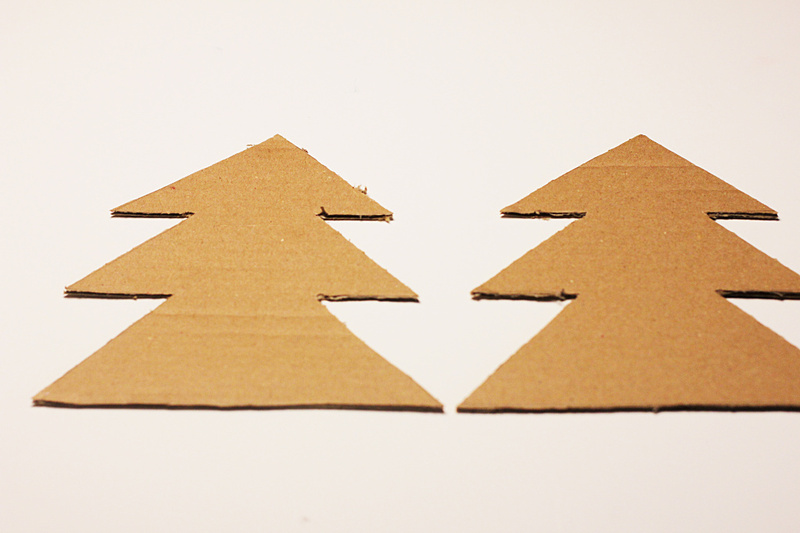 Using your choice of glue, affix the paper tree to the cardboard. Let it stand for a bit or until dry. 8. Look at the picture below – on the first tree cut down the middle from the bottom to the middle of the tree. On the second tree, do the same but from the top to the middle. The trees can fit together at this point, but will fit better without bending if you widen the slit a little bit. The easiest way to do this is to use a sharp pair of scissors and cut an identical slit to the left or right of your existing slit. You will then remove a small slice of cardboard. 9. Fit the two pieces together. This will take a little adjusting to make them completely straight. 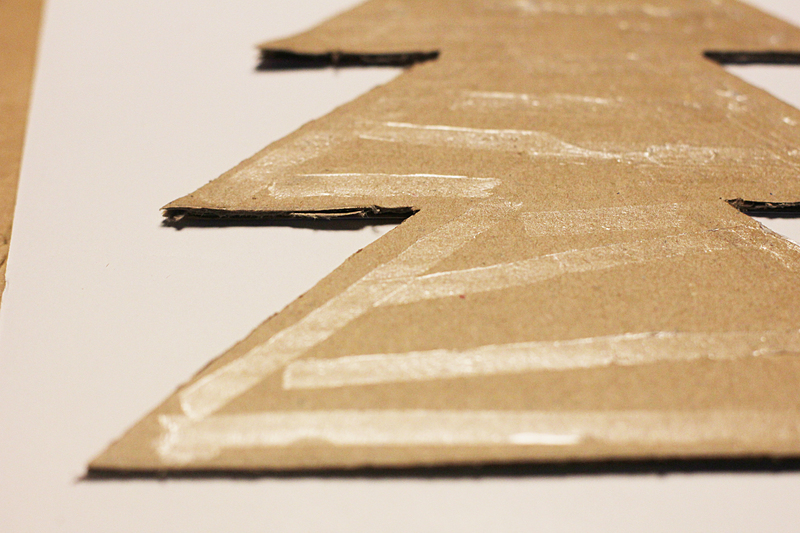 Once the pieces are together, the scrapbook paper might start coming undone – reapply glue as you see fit. 10. 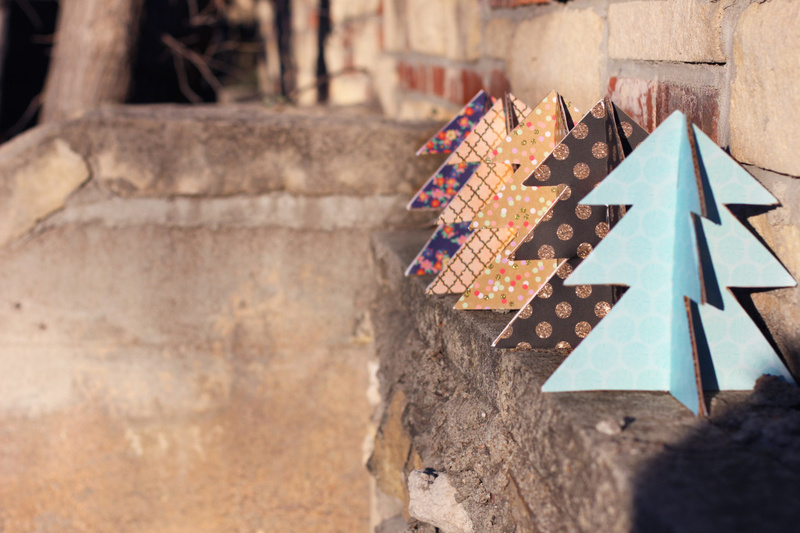 Set up your little forest! Previous article	← Sunday Outing + A Giveaway!